Boating on Lake Tahoe's West Shore. 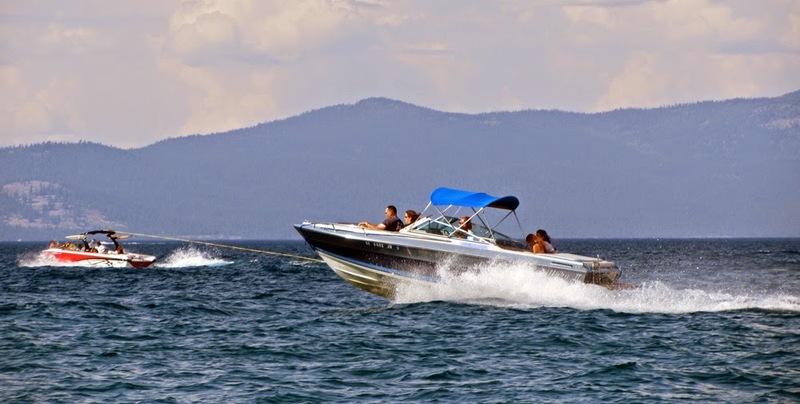 Three roadside inspection and decontamination stations for watercraft users on Lake Tahoe are now open. The Northstar station will open May 22 with limited hours and the Homewood station will not be open this year. 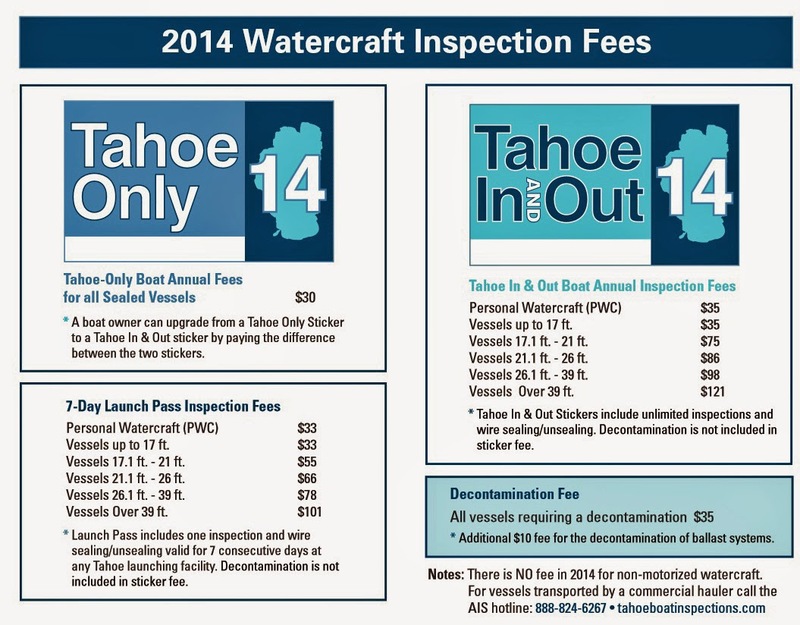 All motorized boats and watercraft require inspection for aquatic invasive species prior to launching in Lake Tahoe. Invasive species like Quagga mussels, New Zealand mudsnails or hydrilla are some of the species that multiply quickly and destroy fish habitat and negatively impact water quality. Open inspection stations: 8:30am-5:30pm, 7 days a week. Meyers: at the junction of U.S. 50 and Hwy. 89. Spooner Summit: at the junction of U.S.50 and Hwy. 28 in Nevada. Alpine Meadows: Alpine Meadows Road north of Tahoe City off Hwy. 89. Opening Thursday May 22nd. 8:30am-5:30pm, Thur.-Sunday. Northstar: Northstar Drive south of Truckee from Hwy. 267. 2014 Inspection fees. Click to enlarge. Make sure your boat is clean, drained, and dry before going to an inspection station. Clean up any oil, dirt, or debris inside bilges and storage compartments, and remove all items inside these compartments. Drain and dry the water from your bilge, ballast tanks, live wells and any storage compartments. Outdrives should be lowered to drain any residual water. Ballast tanks will require decontamination, so make sure the tank(s) is empty and the tank pumps are functioning. Bring any special adapters or engine flush kit with you to the inspection station. If your boat is wet or dirty it may need “decontamination”. Decontamination will cost you time and money. A contaminated boat requires flushing the entire boat and its systems with 140 degree water.